Publication Information: Graydon House. 2018. 384 pages. Opening Sentence: "She saw the portrait quite by chance, or so she thought." Favorite Quote: "It is entirely possible to bargain with an enemy if there is something that you both want and so it proved. Thus we were bound together through time." The Phantom Tree has a little bit of a lot of things in it - England in the 1500s, time travel, the role of women in society, witches, history, adventure, romance, male privilege, and strong, sympathetic characters. What I enjoy most about the book is that the twists and turns manage to surprise me. A few I see coming, but several I don't. This keeps me turning the pages until the very last one. The twists - one in particular - also gets me emotionally. I wish things had turned out differently. That surprises me because I do not feel particularly attached to the character until that point. Those are my cryptic summary thoughts on a book that has its shares of mysteries. Alison Bannister sees a portrait claimed to be a previously undiscovered painting of Anne Boelyn. Alison knows better. She knows that the image is of Mary Seymour. Further, Alison knows that the image holds the key to her past. For, Alison is a time traveller stuck in a time that is not hers. Alison and Mary meet as little girls when both are orphaned and thrown upon the mercies of family members during the 1500s in England. They are thrown together and forced to get along. They do not exactly become friends. Little do they know that their fates are forever entwined, and one will perhaps be the best friend to the other. Circumstances and sometimes their own naivete and choices create a turbulent childhood. "People with happy families so often don't realize how lucky they are." As teenagers (which was a ripe old age for a girl at that time), things get worse. I leave you to imagine what worse may mean for a young woman without family and backing at that time. From the very beginning, we know how Alison's story for this time period sort of ends. She finds herself in a different time period and begins a new life. How does she get there? What keeps her there? Why? What becomes of Mary? Having now seen the portrait, what choice will Alison make about the past, the present, and the future? What of her new life, where people don't know that she is from the past? These are the questions that this book tumbles through as I keep turning pages to see where it goes and what becomes of these girls. Reader beware. Although the main characters are young women, this is an adult book with violence and adult themes and situations. The mix of historical fiction with time travel works in this book. The time travel seems to go along with the belief in witches and curses prevalent at the time. The book at no time feels futuristic or science fiction like. The time travel simply requires the same suspension of disbelief as putting myself in England in the middle of the 1500s. Contrasting this premise, the emotions of the book feel real. Alison's quest for the past seems entirely believable even when she has found and created a beautiful new life. Mary's innocence in the face of the connivers that surround her also seems credible. Maybe, all of this happens because I vest in the stories of these characters. Regardless of the reason, this book holds my attention all the way through to the end. Publication Information: Ace. 2018. 448 pages. Opening Sentence: "My lord father, Please forgive the haste and informality of this letter: you know my respect for you and my obedience to your will." Favorite Quote: "I want the truth ... I may need a cover-up. The two are different things." The first book in this series, The Invisible Library, had me at the title. I love books about books. The idea of action, adventure, and mystery surrounding a Library pulled me right in. A Library that exists hidden in the midst of a myriad of parallel alternate worlds, and a Librarian's ability to traverse these different worlds added greater potential. A Library that provided infinite, immortal access to the knowledge of the world is a book lover's dream. A Library that acts as protection and haven to those who bind themselves to it reinforces the symbolism a library holds. The main character Irene is, of course, a Librarian. The premise of the series is awesome. The Mortal Word is the fifth book in the series. While having read the prior books is not absolutely essential, it is definitely important in this series because the characters, the relationships, and even parts of the story line are a continuation from previous book. Having only read the first book, I felt able to establish enough connections to move forward with this book. The first book was an action packed adventure with much of the look and feel of a children's or young adult fantasy series. This book, however, is definitely in the adult world as relationships have progressed into the adult world. The romance hinted at the in the first is now apparent; a relationship deemed inadvisable by many exists. The mystery of this book is a political murder that threatens to tear a fragile peace and lead to war. On one side are the dragons, and on the other are the fae. The characters and multiple parallel worlds are pure fantasy. The setting is 1800s Paris. The emotions and the conflicts are all too human. As with the first book, this story has a lot going on. Paris. London. The Librarians. Irene, Kai, and Vale. Dragons. Fae. A lot of characters and a lot of plot lines underlying the main mystery. This book also introduces political overtones as another layer of story. As with the first one, the one thing I wish this book had more of is the Library itself. I find the idea of an invisible library and the power of language intriguing. However, the book takes place primarily outside of the Library and does not explain the use of Language or the workings of the Library. I want to know more; I want to explore the Library. Yet, after two books, it appears that the Library serves as the anchor for this series which are more episodic in nature. So, Irene is of the Library, but the story is not. Like the first book, this one is a fun, light read. It stops short of being a compelling one and does not propel me to pick up others in the series. Am I likely to be drawn in once again by the idea of an all encompassing Library that transcends time and place? Probably. Am I likely to follow through on that pull? Maybe, maybe not. Opening Sentence: "In September 1970, two sites squared off for the title of the center of the world: Piccadilly Circus, in London, and Dam Square, in Amsterdam." Favorite Quote: "... our travels teach us everything we need to know fro the rest of our lives, as long as there's no need to explain this to our parents." I had heard of Paul Coelho long before I ever read his work. My first introduction to his work was The Alchemist, which has had a lasting impact and has found a permanent home on my bookshelf. Perhaps because of the nature of that book and perhaps because of where I am in my life's journey, that book speaks to me and inspires me. 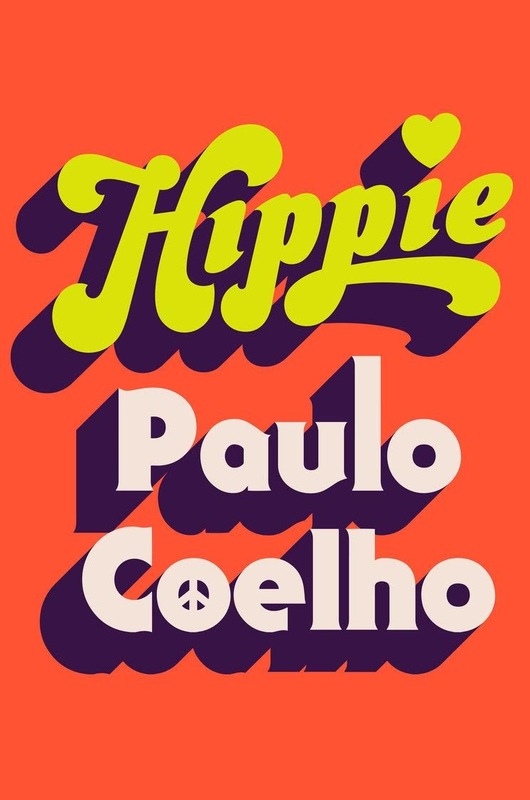 Admittedly, I had never read a Paul Coelho book before and have not read one since. So, my entire experience with his writing is based on that one. That means that my entire set of expectations for this book are based on the inspiration I find The Alchemist. Hippie is a very different sort of book. More than anything, it is a snapshot of a time, a place, and perhaps even a generation. It is the story of a young man in search of himself and in search of meaning. His journey takes him from Brazil to Amsterdam to a journey of self-discovery to what I think is going to be Nepal. Along the way, he meets and befriends many. In particular, Karla is the one who suggests to him a bus journey to Nepal in search of enlightenment. And not just any bus journey. It is the Magic Bus on what is now known as the Hippie Trail. This overland path from Europe travelled through Iran, Afghanistan, Pakistan, India, Kashmir, and eventually ended in Nepal. The road became the destination with Westerners meeting up and down the trail. An industry proving food and lodging sprung up along the route. The travel route ended in the 1970s as political changes in the area made travel improbable. I pick up this book, expecting to read the story of the road. That is not quite what the book is. The story begins in Dam Square in Amsterdam, a gathering place. It also winds back to Paulo's past in Brazil and to some traumatic experiences. More than half way into the book, Michael the driver of the Magic Bus is introduced; his history is perhaps the most intriguing of all but it comes very late in the book. The book then also ends rather abruptly and entirely not in the place where I expect it go. For the most part, I don't quite know where the book is going. It is possible that it is not meant to be going anywhere but rather just immersing the reader in that time and place. Given my experience with The Alchemist, I expect to be inspired. Perhaps, I am not of the right generation to either relate to this experience or to be inspired by it. I expect a journey of self-discovery, but it seems to end too abruptly for me to find an epiphany. All in all, I am entertained and intrigued by this snapshot image, but an image is what the book remains. I am left wanting more. On the other hand, I could see it making a great movie for it paints a vivid picture. I walk away with the thought that in this case, it is the journey that matters not the destination. Publication Information: Doubleday. 2018. 304 pages. Opening Sentence: "She sits in a plastic chair in front on a brick wall, slouching." Favorite Quote: "Papa had said that when people became old, they couldn't bring themselves to cry anymore, because they had cried continually, on and off, over a lifetime long with happiness and sorrow. He had said their bank of tears had gone dry." Chula and Cassadras are the daughters of the house; they have comforts and a childhood. Petrona, on the other hand, is their mother's new maid. The book does begin at the end, for the beginning is an adult Chula remembering. The remainder of the book is alternating chapters of life from Chula's perspective and from Petrona's perspective. Chula: "... he would tell us that it was better to sleep alongside you own clean conscience than to be a parasite of the state or of the militarized groups who were just a different versions of a state." Petrona: 'Imagine, a thirteen-year-old - the breadwinner of a house.' Mama said that when you had that kind of responsibility, it was difficult to be interested in abstract things like politics." Chula: "I thought about all the things I had to lose." To understand this book, you really have to understand the history of Colombia at the time. Violence and death was an everyday occurrence. Survival was not a given. Kidnappings and murders were commonplace. Chula still has the protection of family and affluence. The impact is there for she is growing up in this environment, but at the same time, she is able to remain a child. Petrona, on the other hand, is a teenager with adult responsibilities to uphold and adult decisions to make. She is actually the "adult" to her younger siblings. The story and the characters are heartbreaking. The book itself unfortunately is very slow reading. Since the book is the perspective of these two young girls, many of the bigger, historical events of the book happen outside of their lives and the impacts reverberates back to their lives. As such, the book seems to move from episode to episode but at the same time feels a bit removed. This is particularly true of the chapters from Chula's perspective because she is much more the child. I wish the book was more directly Petrona's story for that is the more compelling one. Much of Chula's time is spent contemplating Petrona's life and actions. I am glad I read this perspective on a turbulent history. I just wish I had loved the book as much as I expected to and as much as the sad story of these two young girls deserved. Publication Information: Berkley. 2018. 384 pages. Opening Sentence: "No one has seen." Favorite Quote: "I'm every bit as stubborn as you are, and because I'm a lot older I'm a lot more experienced at it. So don't even try to out-obstinate me." An heirloom object sends a young woman on a search. The history of the heirloom is revealed in parallel with stories of the past. In the first Juliet Blackwell book I read, Letters from Paris, the object was a shattered mask, and the journey led to Paris. In this book, the object is a wooden rabbit. The journey leads France again, but this time ultimately to a carousel at a private home in Avignon, France. The unusual historical context of the book, as the title suggests, is carousels and in particular, the art of carving carousel animals. I have seen and admired many carousels but never really thought about what goes into their creation. This book presents vivid detail and imagery of this art form, which then sent me off to read the actual history. The history leads to the art of Gustave Bayol, who lived at the turn of the century and is reputed to be one of the most important fairground carvers in Europe. His pieces are still considered collector's items. The animal that begins this story is a rabbit owned by Cady Drake. She does not know its provenance or its secrets, just that it has been passed down to her and that it's special. Losses in her life sent her searching for a different direction. She is a photographer, and a photography project becomes her salvation. She is off to France to photograph a book of antique carousels and perhaps discover the history of her own heirloom. The book now begins to travel back and forth from present day, to the Chateua Clement in Avignon, The House of Bayol in Angers, to Califronia, to Paris, and then around again. Each time period adds a layer to the story and to the history of Cady's rabbit. Ultimately, The Lost Carousel of Provence is a story of family. Cady is an orphan who grew up in the foster care system. She has never had a family but has found people who became family. Josephine is a young wife. Maelle is driven by her passion for carving over all other relationships. Fabrice is a recluse estranged from his family. Through these characters, this book is also a story of loneliness and of wanting to belong. The book is a slow start, as it takes a while to get to know the different characters, distinguish between the time periods, and settle into the story of each time. The secrets of the book are also clear much before they are actually revealed in the story. As is common in books set in different time periods, one story takes the lead. For me in this book, it is Cady's character and story. Most of all though, I enjoyed this book for the introducing me to the history of carousels and giving me a whole new appreciation for artistry that goes into them.